Oh yes! 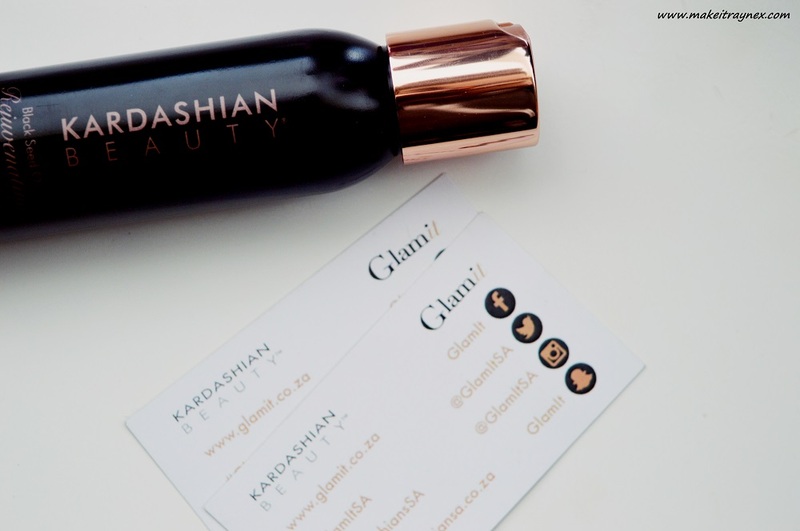 The Kardashian Beauty haircare products which we have been seeing all over Instagram and Twitter launched in South Africa on the Glam It website as of 1st May 2016. 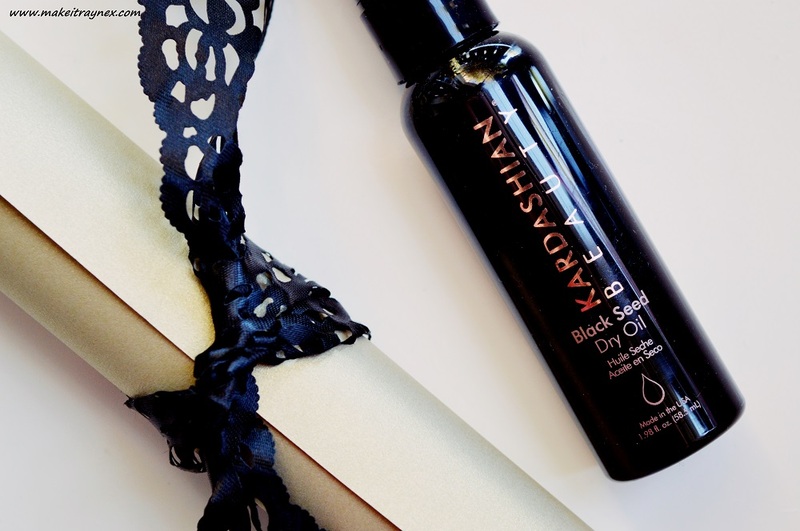 It seems like I have been raving about the Black Seed Dry Oil for months now. Honestly, nothing gives you perfectly shiny “messy-not-messy” hair like scrunching two pumps of it through your locks! Now it was time to use the Black Seed Oil Rejuvenating Shampoo and Conditioner duo. Lets see if they held up to the same standards as the oil, shall we? First off, the Black Seed Oil component? 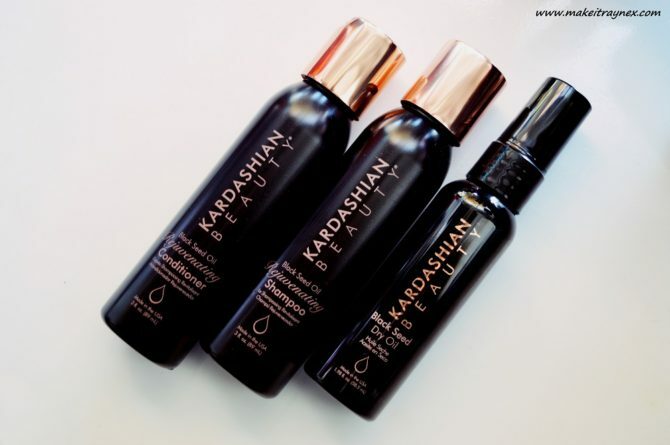 It is making its way into more and more of the products in the Kardashian Beauty line than ever before. This is fab though, as Black Seed Oil contains some awesome vitamins and antioxidants. Furthermore it gives it a gloriously unique and clean yet peppery scent. It also contains fatty acids omega 3 and 6 which are meant to work wonders on our hair. Or you can eat a lot of oily fish. Your choice. Finally onto the actual products; I reviewed them as a duo due to the fact that I absolutely cannot wash my hair without conditioning it in the same shower session. Not even for blog purposes. No. The shampoo and conditioner are formulated very similarly; the shampoo for cleansing thoroughly without stripping the hair of its natural oils. And the conditioner for leaving your hair super soft and manageable. Both products promise to deliver strength, moisture, health, reconstruction, rejuvenation and protection to your tresses. Basically everything you would want from this Black Seed Oil Rejuvenating Shampoo and Conditioner duo! As mentioned in blog posts before, I try to wash my hair only once a week. This means that my hair can react adversely to shampoos and conditioners but I am chuffed to say the Black Seed Oil Rejuvenating Shampoo and Conditioner are not too rich or, furthermore, too heavy that it causes build up in my roots. Yay! As for prices, you can get these 90ML bottles for R175,00, the 360ML bottle for R395,00 and the awesome industrial size pump bottle which is 750ML for R695,00. **Realistically these are basically tester size bottles for me as I will literally get less than three uses from each of these 90ML bottles. You can purchase the Black Seed Oil Rejuvenating Shampoo and Conditioner from the Glam It website directly by clicking on these links. Go go go!! However, if you get side tracked by a few of the other new releases, I won’t blame you. Namely the Black Seed Oil Liquid Hydration Masque and the Black Seed Oil Leave-In Conditioner Mist! Wow oh wow. 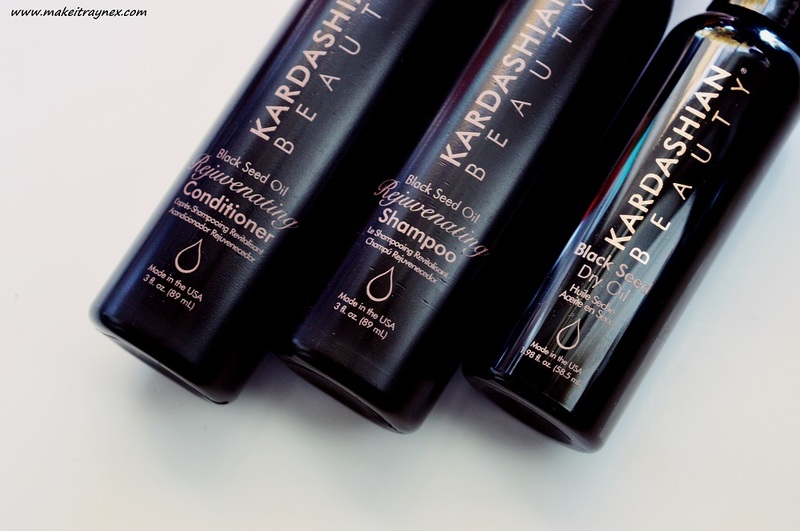 Let me know if you get your hands on any products from the Kardashian haircare line! 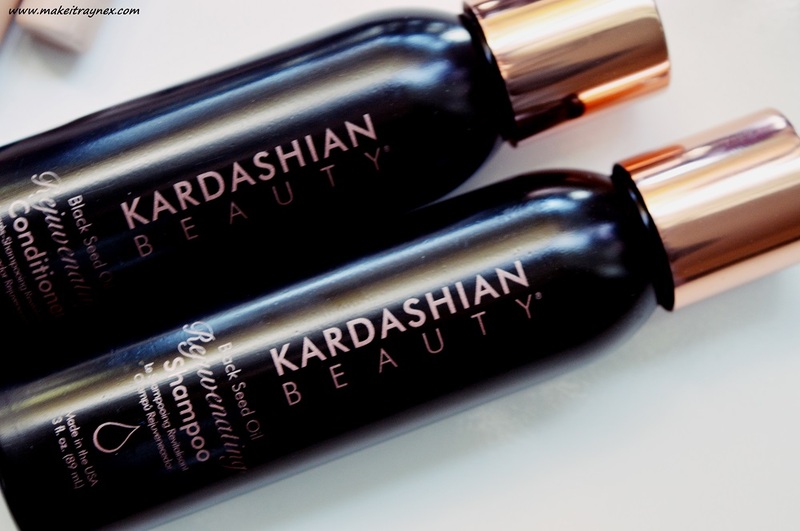 I have heard amazing things about the Kardashian hair products range. I think I will definitely give it a go once my current hair products have been used up.